Every year we take our RV to our favorite campground at the beach. Camping at the beach with kids requires a little more planning than our usual RV vacations. There’s the addition of sand, wet swimsuits, strong wind, lots of sun, and the potential for lots of rain or a summer storm too. 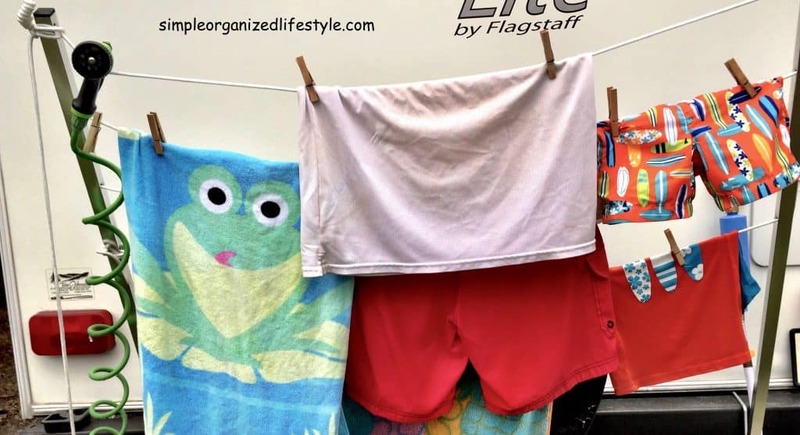 These top 10 RV hacks for camping at the beach with kids save our sanity (and our RV)! Having a water hose easily accessible (see pic below) saves our RV from becoming a sandbox on wheels! We use it a good bit to clean the grill and other cooking utensils. We’ve also been known to use it as a makeshift shower for a muddy kid. We use one of those “As Seen on TV” coil hoses sold at most retail stores. It is a simple addition that comes in handy for all kinds of situations! 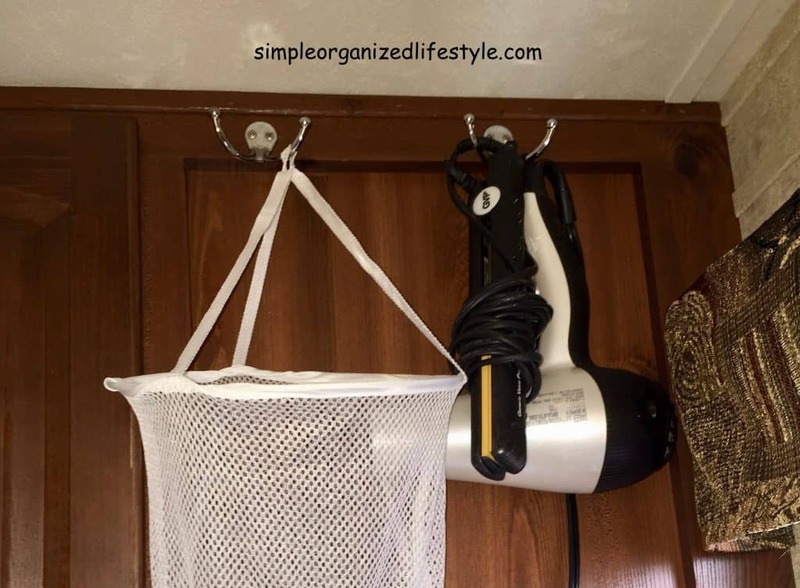 We bought this drying rack from a camping supply store for around $30. It is well worth it when we’re at the beach to have a place for the many wet swimsuits and towels. Another alternative is to use clips around a canopy or shelter, or make your own from PVC pipe like this couple did. 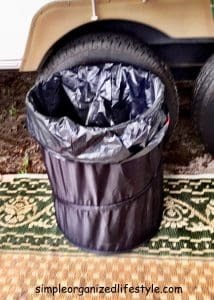 Use a pop up hamper like this one to hold an overflow of trash or just to keep it contained outdoors. If you grill out hot dogs and add the onions, you’ll be thankful not to have to smell those all night inside the RV! Bring the idea of a home command center inside the RV! This is a one-stop place to keep all of the things that you constantly use for a particular trip. This was a bathroom shower caddy and I added clear storage trays that I found from the dollar store. 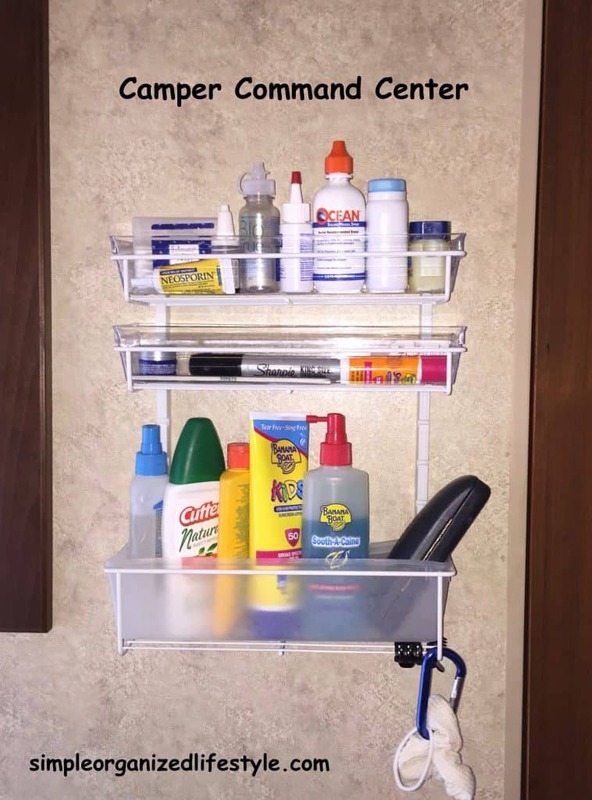 Simple solution to keeping frequently used items easily accessible and organized. Hooks are handy little helpers in an RV. We have them everywhere! They hold all kinds of things such as keys, hats, pot holders, and bags that would otherwise end up taking up sitting area or table space. Tie downs are a must to protect our awning from taking a beating from the wind at the beach. We also use clamps to keep the table cloths from blowing away and clothespins on our towels and swimsuits. We use this on every camping trip and I really don’t know how we’d make it without it. 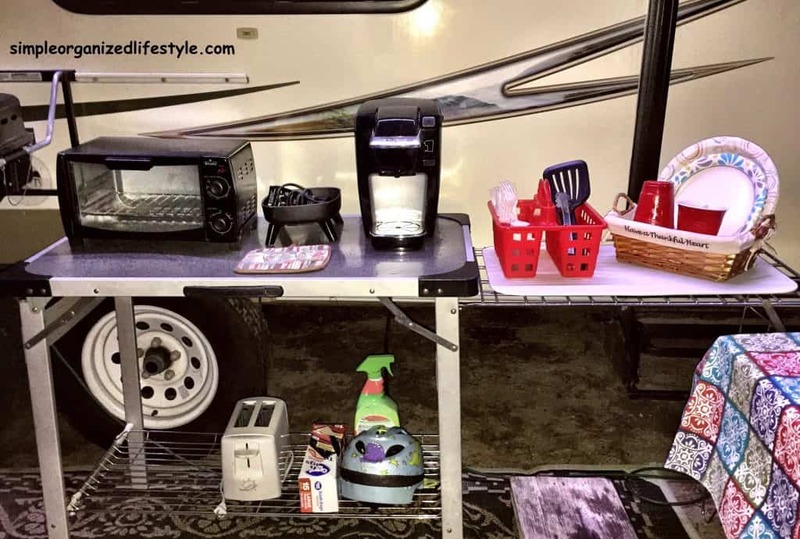 It holds our toaster oven, small Keurig and griddle on the top, cords and other stuff on the bottom and the side table is great for holding our plates & utensils. I’m sad to say they don’t make ones like this anymore but the newer ones look much nicer with added features! Coleman Pack-Away Kitchen -wish I had thought of it for Father’s Day! 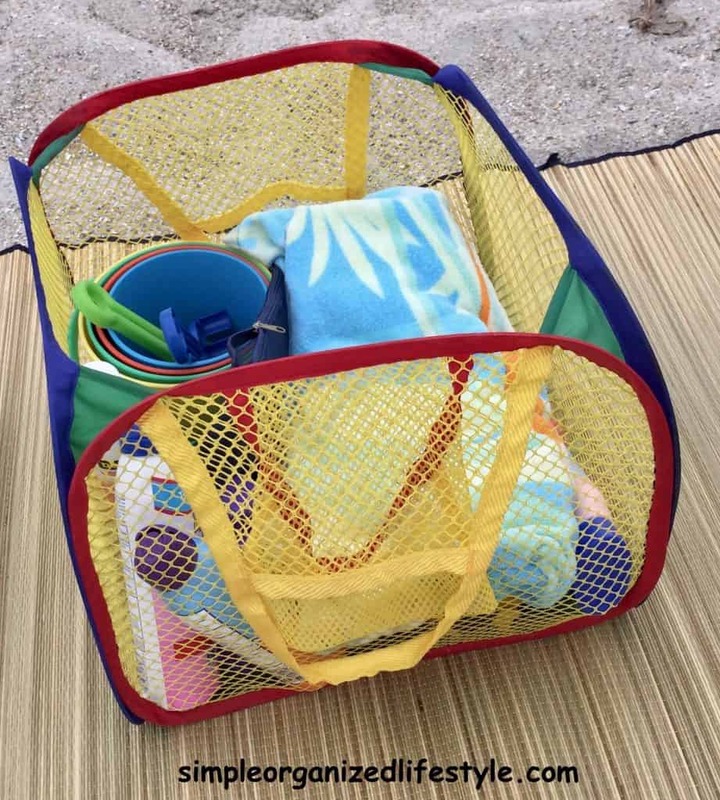 These mesh outdoor storage bins are great for beach toys. They are easy to shake out the sand and store in or under the camper. We also have one for our dirty clothes. Sometimes it storms, rains, or you just need a break from the heat for awhile. 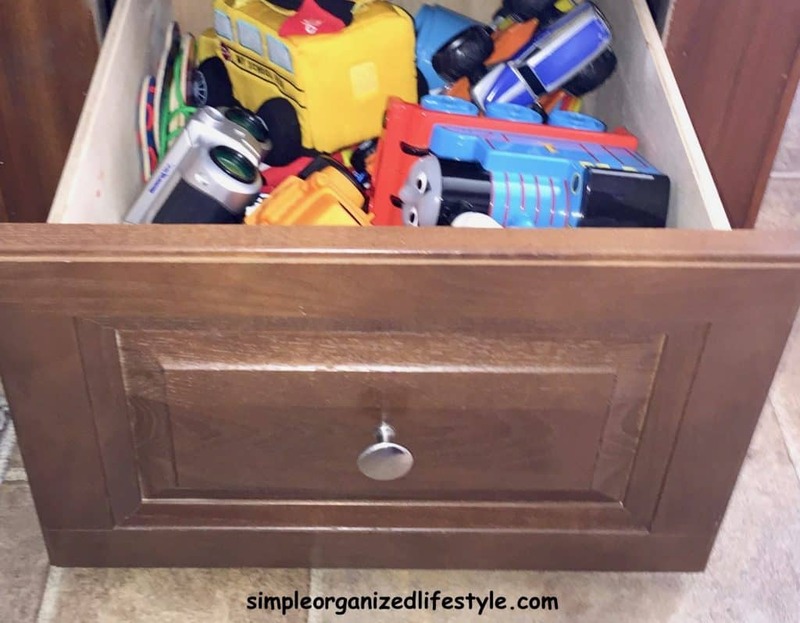 Keep the kids entertained by having a place for toys that they haven’t seen in awhile. You can also pick up some “new to them” toys at yard sales, consignment sales or the dollar store. Ok, this is not so much an RV hack as it is just a fun feature to have for the kids and other camping enthusiasts. 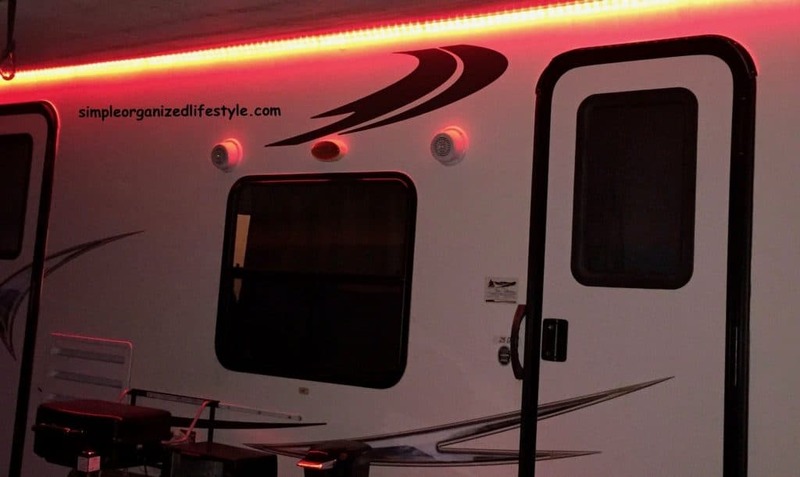 We purchased a row of stick on multi-colored LED lights from Amazon to our RV and they are still going strong three years later. 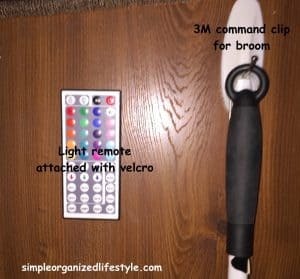 We keep the remote on the side of our table with a piece of velcro. Those are our top 10 RV hacks for camping at the beach with kids! What have we missed? We are always looking for new ideas for RV vacations! I love how organized you keep everything. Where did you get those mesh outdoor storage bins? They would be perfect for our upcoming beach trip. I usually use a mesh laundry bag for beach toys but I like the handles and structure yours has. Hey Leslie! That’s a pop-up hamper that I think we got at Target. It works great for beach toys! Hope y’all have a safe, fun trip to the beach soon:] .